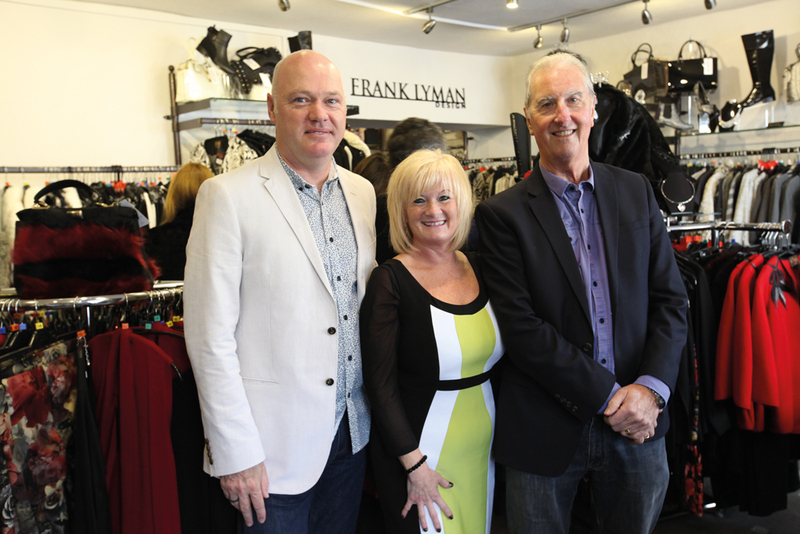 Keeping on top of the style game is Julie Jeans’ forte; so we were thrilled to attend her recent, exclusive, event for Frank Lyman Designs in aid of the Dementia charity at Colours of Cowbridge. Julie, thank you so much for the invitation – can you tell us a little more about this event. You’re very welcome. Frank Lyman was introduced to Colours of Cowbridge by previous owners, Glyn and Christina Ash eld, three years ago and, during that time, his collections have been so popular that we’re now one of Frank Lyman’s key retailers. I’m delighted we have two representatives here today from Frank Lyman’s UK headquarters in Glasgow to assist us, and our professional models, Liz and Holly, will be treating our guests to a fashion show of gorgeous clothes and accessories from Frank’s fabulous winter 2015 collections – as well as a sneak preview of spring 2016. We have goody bags with Frank Lyman gifts for everyone and, as you can see, there’s zz and nibbles galore – it’s not a real event without zz is it?! Our raffle prize is a £150 gift voucher and the lucky winner will be able to spend it on Frank Lyman clothes. 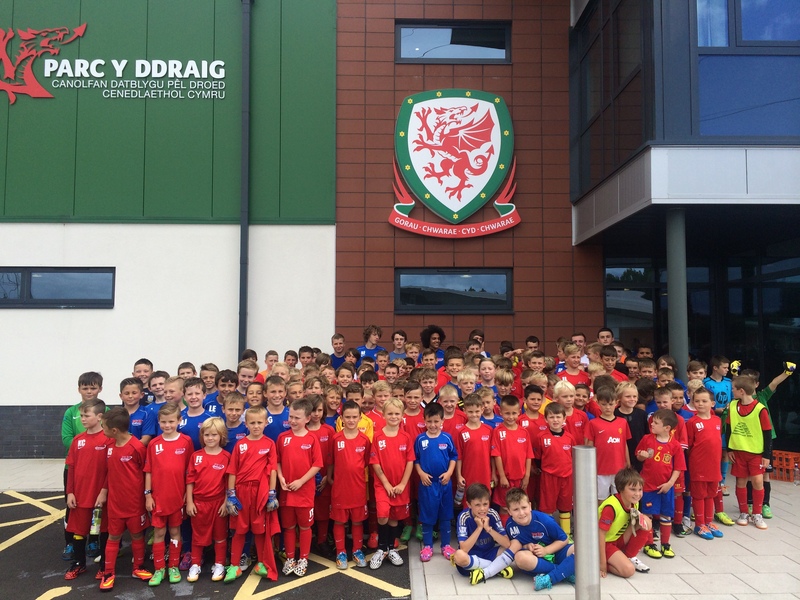 All of the proceeds from the raf e will be donated to College Fields Nursing Home in Barry. We understand that the College Fields Nursing Home is very close to your heart. Absolutely. Our parents (I’m one of eleven!) were both residents there at different times, and we couldn’t have wished for more caring and compassionate staff – not just for our parents, but they also accommodated our needs so well. In fact there was a time that all of us brothers and sisters slept in a function room at College Fields overnight to be near our mum at the end. Can you tell us a little about your background – and what has led you to where you are today? I started working for Glyn and Christina Ash eld eighteen years ago, originally in their Barry shop, and was asked to manage Colours nine years ago. During this time they closed their other three shops, kept this one, and became semi-retired. Fifteen months ago they decided to step down from the business and asked me to take on the shop – knowing that I was passionate about the business and I’d keep the Colours ethos. This was signi cant for all of us as the store has been established in Cowbridge, as Colours, for 28 years. They’re still very supportive (as you can see they’re here today), and I feel indebted to them both as mentors and friends. Oh yes, my lovely sister Ruth is my right hand woman. And we have Nicola and Julie Cherry who both work part time, all three are superstars, and not forgetting my very supportive husband Kevin, who helps with the administration side if the business. We’re all equally passionate about Colours – in fact many of our clients say it’s like having a personal shopper. Our loyal customers are so supportive. to evening gowns, cruise wear and mother of the bride (and groom) out ts we’re going to be spoilt for choice. And don’t forget gentlemen, Colours carry a large selection of gorgeous accessories too – perfect for Christmas presents so no excuses.